Nars describe Gina as a ‘true tangerine’, and on inspection I would say that it looks like more of a matte peachy colour blush with a very smooth finish. When I first spotted this blush I was a bit sceptical as I thought it may be a bit too light for my skin and make me look ashy but, instead Gina is a blush that allows you to build up colour very easily without making your face look dry or ashy on the medium to darker skin toned ladies. I tend to wear Gina when I am wearing a bright/vibrant lipstick such as Rebel as it is a more subtle colour than my other blsuhers and it doesn’t over power the face with too much colour. I wear Gina once i’ve done a very subtle cheek contour with the Sleek Contour Kit (Dark) and then build it up to get the colour to stand out a bit more on my skin tone. This is my second item from Nars but I must say I am very impressed with their blushers and I hope to try out their other products soon, such as the matte lip pencil in Dragon Girl. I swatched this blush not long ago at the makeup counter and I've been thinking about it ever since. This is a lovely shade! I have ELFs blush in Candid Coral and it is quite similar although it doesn't have quite as much shimmer. 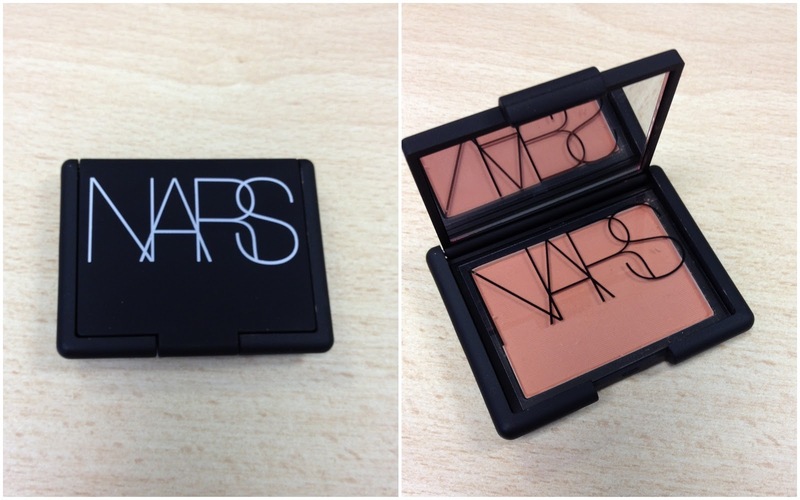 I do love a Nars blush though, so beautiful! Really suits your skin tone.